We are ready to train anyone looking to up their game or learn proper techniques from scratch. 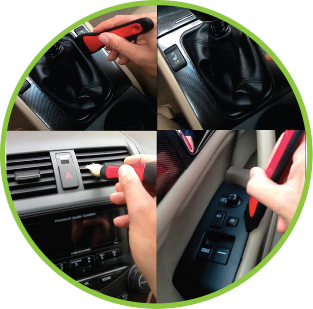 Maybe you want to start a detailing business, our 4 day program can get you on the right path to being a successful business owner.Maybe you have the basics down pat and just want to become a better polisher, we can help you get that perfect paint finish you were looking for. 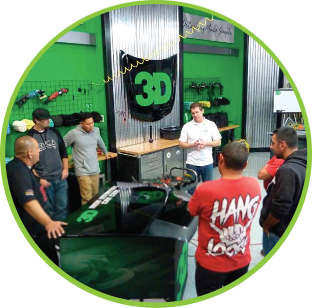 What does 3D Products Canada offer in our training? 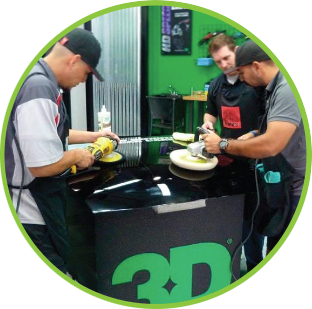 3D Products offers two options to get your detailing business started or to improve your polishing skills. We have an intensive 4 day course that takes you from the very basic processes all the way to sanding and multi-step polishing. The two day course is designed to introduce you to the process of polishing and give you a very in-depth knowledge of polishers and the correct processes to get you that perfect paint finish. Each day has a classroom learning session in the morning and a short review at the end of each day. Students will receive a certificate of completion and a $100 or $200 credit towards supplies at the store. Classes run 9 am to 5pm at 207 Edgeley Blvd Unit 3, in Vaughan. Please call 905-669-3541, message us on FB or email bwalroth@3dproductscanada.com to book a spot. A 50% deposit is required to hold a spot and the remainder is due first day of classes. The team at 3D Products Canada is always looking push the limits in training and education. We have the rare opportunity to have Chis Funkenhauser (Car-Store) and Steve Soule (Ulitmate Detailing in Texas) that would like to share their years of wet sanding expertise. The course would be 2 days, April 7 and 8 held at the Vaughan training facility, and the cost is $1299 +hst for a maximum of 6 students. If you would like to see an itinerary for the weekend contact us at bwalroth@3dproductscanada.com. This is a first come first served course. Opportunities like this don't come around often so take advantage of this opportunity. We are now ready to start Certified Detailer testing as well as Skills Validation for the IDA. Please email bwalroth@3dproductscanada.com or call 289-707-3541 to get a date set for training. We will be running an IDA Detailer in a Day training session in the coming months.